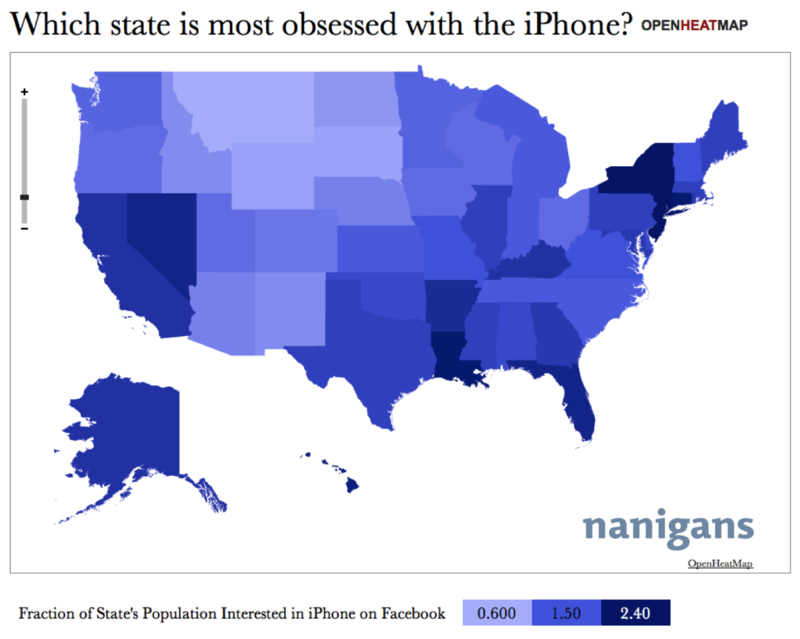 Who’s Most Obsessed with iOS 5 and the iPhone 4S on Facebook? This week has been a long time coming for Apple fanboys and fangirls across the world. Today marks the release of iOS 5 — the next major update of Apple’s software for iPhone, iPod and iPad — and this Friday, October 14th marks the date when the new iPhone 4S hits shelves across the nation. With the greatly anticipated iOS 5, Apple touch device owners will enjoy a new feed and center for notifications, an improved camera app with cropping and editing features, a Newsstand, PC- and wire-free syncing, free messaging between iOS owners, iCloud and much more. And the new iPhone 4S features 7x faster graphics, an 8 megapixel camera, 1080p video recording, iCloud integration, a voice driven personal assistant (Siri), a faster processor, and longer browsing and battery time.